Karen Schoucair is an independent filmmaker and a multi-disciplinary artist based in Boston. She is the driving force and visionary behind Shadow Coding’s narrative, artistic visuals, and user experience. Beirut native Karen Schoucair’s film career began with Maid in Lebanon, a documentary she wrote, directed and produced, that sheds light on the condition of the domestic migrant worker. The film went on to be selected and shown at several venues and major universities around the United States. As a freelance director, editor and cinematographer, she's been creating content for over 7 years. Karen has directed films for clients such as MIT, independent artists in Boston and New York, cultural organizations in Lebanon, and others. She also volunteers some of her time as the Projection Director at MIT’s Lecture Series Committee, where she trains students for upcoming shows and experiments with 16 and 35mm film. Karen is a graduate of the Massachusetts College of Art and Design and has also completed courses related to video and computational photography in the Art, Culture and Technology Program at MIT. Her latest body of work deals with the socio-political, as well as the rediscovery of her voice as an artist in an environment that expects one to conform to a set of societal standards. When she is not working on a client's project, she can be found creating personal work in the darkroom, her happy place, composing tunes on the guitar, shooting 10mm air pistols in the range or planning her next scuba diving adventure. Rachelle Villalon is a Los Angeles native and the hacker behind Shadow Coding’s technical design and implementation. She just completed her Ph.D. in Design and Computation at MIT, where she is a Presidential Fellow. She also received a Master’s degree in Computation at MIT in 2008, and a Bachelor of Architecture from Woodbury University in Los Angeles. While at MIT, her research focused on applied machine learning, computer vision, and the internet of things for the built environment. She’s also a post-doctoral researcher in the MIT Design & Computation Lab. 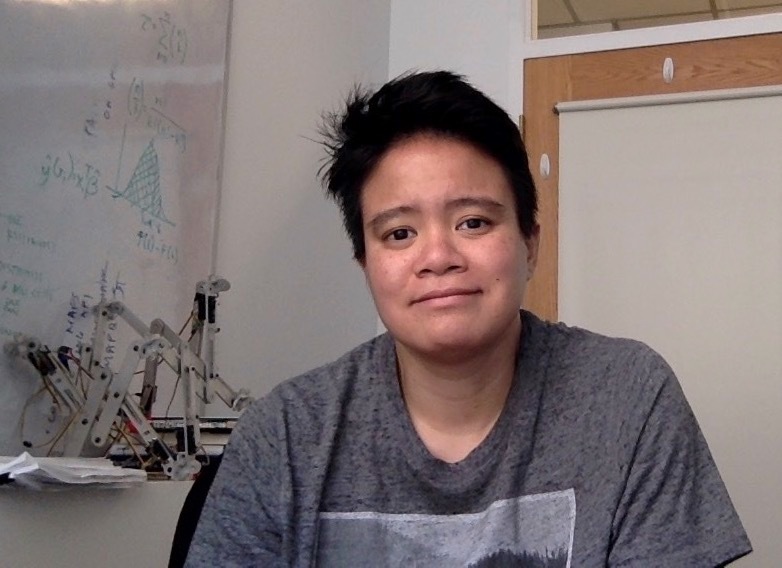 Rachelle has professional experience as an architect and technologist in the Architecture industry, as well as a software engineer and data scientist in the cyber security, robotics, and 3D design-engineering industries. She served as the Hackathon Chair for Hacking Arts 2016, a conference that focuses on entrepreneurship and innovation within the creative arts. Rachelle is currently the co-founder and CTO of Hosta Labs Inc., a technology company derived from Rachelle’s PhD work, that enables you to easily convert videos and images of your living and work spaces into a 3D space management platform that simplifies the renovation and furniture placement process.